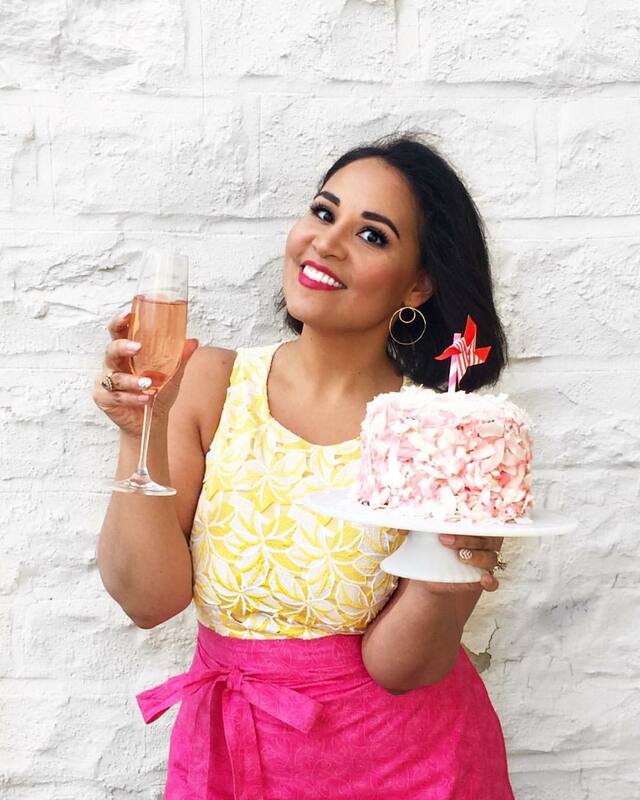 Flourless cakes are one of my favorite desserts for dinner parties and celebrations (seriously--I shared a few of my other faves at the end of this post!). 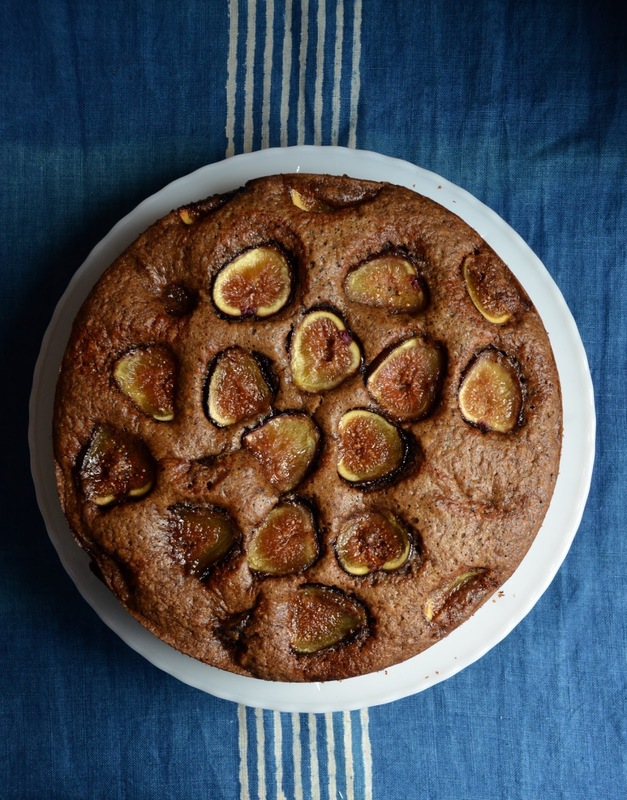 This super easy and naturally gluten-free Flourless Walnut Fig Cake is made using freshly ground walnuts as the "flour." It produces a nutty and flavorful cake that is both gorgeous and super satisfying. Though you can buy walnut meal in stores, I actually prefer making my own for this cake as it allows you to grind it up a little bit chunkier than the kind you buy at the grocery. I used my food processor for this, but you should also be able to obtain similar results with a powerful blender. A touch of corn starch gives the cake body and prevents that unfortunate sponginess from which so many nut meal cakes tend to suffer. If you prefer, you can substitute an equivalent amount of tapioca flour, potato starch or even arrowroot powder for the same effect. You'll also notice that the sugar in this recipe is on the lower side. 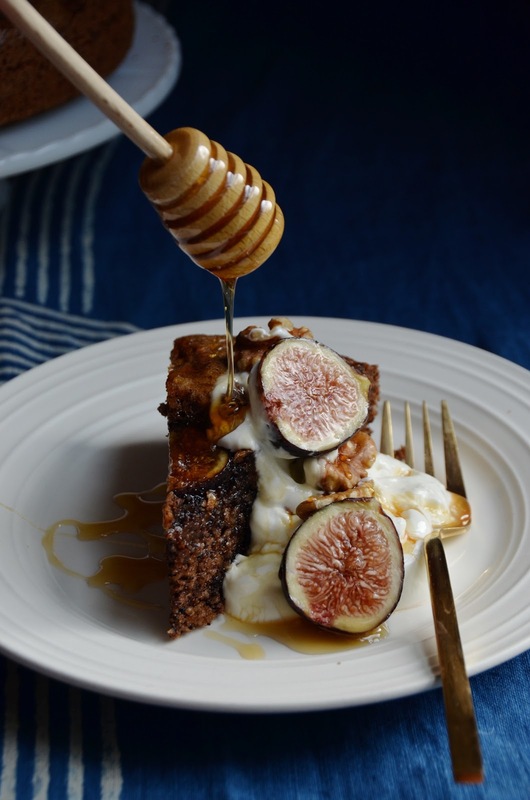 I think the ripe figs and natural sweetness of the nuts balances it all out, but I also love serving it with a generous drizzle of honey at the end. 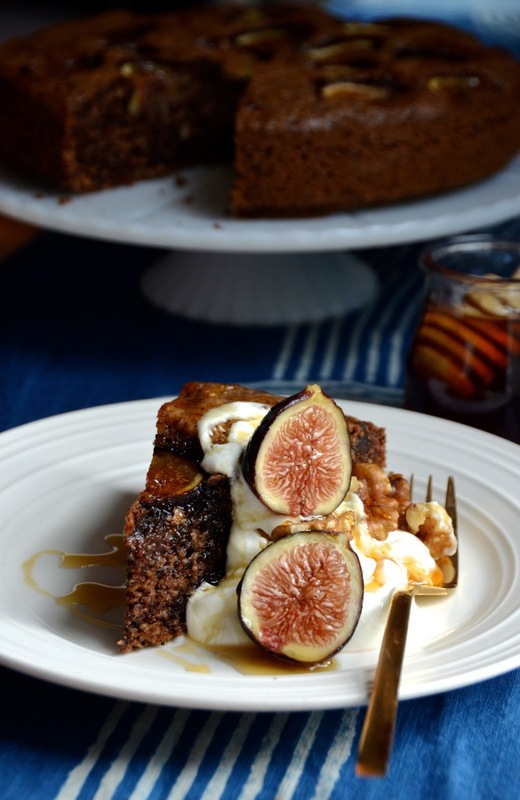 Honey, walnuts, and figs are perfect companions and take this cake from lovely and simple to absolutely showstopping. Preheat oven to 350 degrees. Grease a 9” round springform pan and line the bottom with parchment paper. Add walnuts to a food processor and process into a coarse meal. Set aside. Remove stems from figs and slice each fig into thirds. Add the eggs, oil, sugar, cinnamon, nutmeg, salt, and corn starch to the base of an electric mixer (or use a large bowl and hand mixer) and beat until frothy and evenly combined (about 2 minutes). Add the ground walnuts and baking powder, and beat again for another minute. Pour batter into the prepared baking pan and gently top with sliced figs (placing the cut side up). Bake 45 minutes to 1 hour, or until golden, slightly puffed, and a cake tester or toothpick inserted in the center comes out clean. Let cool in pan about 10 minutes before removing the sides and letting cool completely. 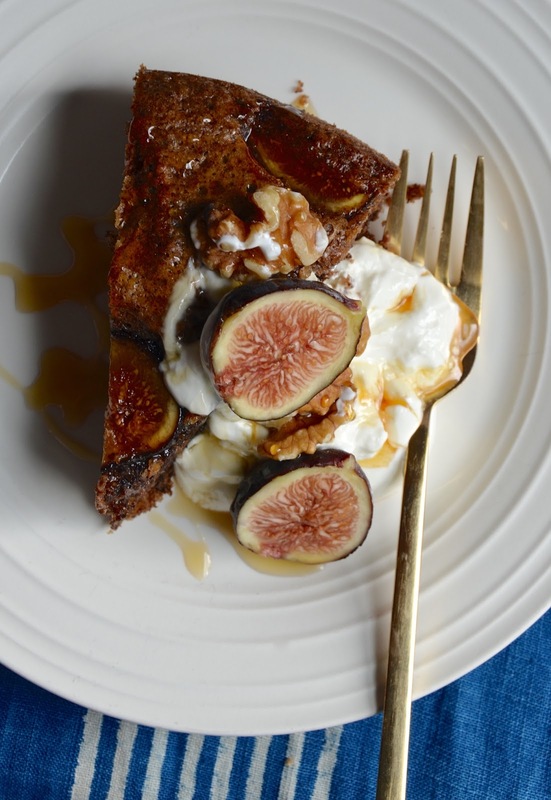 Serve the cake on its own, or dress it up with a dollop of sour cream, a few fresh figs, walnuts and a generous drizzle of honey on top.